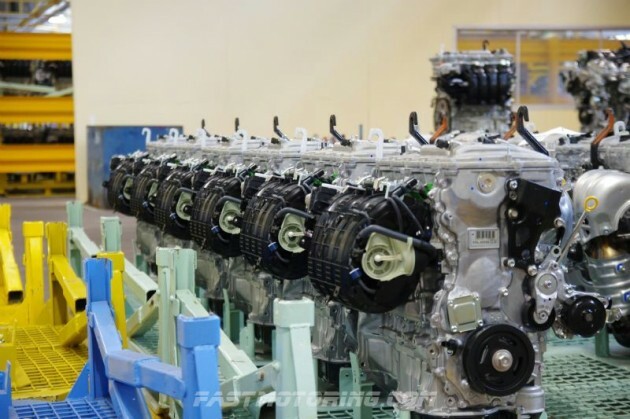 Today, Toyota Australia has officially opened its new engine plant, making it the first Australian car manufacturer to produce both petrol and hybrid engines. 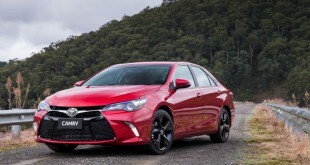 The engine plant is located in Altona, west of Melbourne, the plant will produce approximately 108,000 four cylinder 2.5 litre engines per year for its locally built Camry and Camry Hybrid sedans. The engines produced in Altona plant will also be exported to Thailand and Malaysia. The event was attended by the Australian Prime Minister, the Hon. Julia Gillard; Victorian Premier, the Hon. Ted Baillieu; Federal Minister for Industry and Innovation, the Hon. Greg Combet AM; Victorian Minister for Manufacturing, Exports and Trade, the Hon. Richard Dalla-Riva; Mr Seiichi Sudo, Senior Managing Officer, Toyota Motor Corporation; and His Excellency, Mr Yoshitaka Akimoto, Ambassador of Japan. 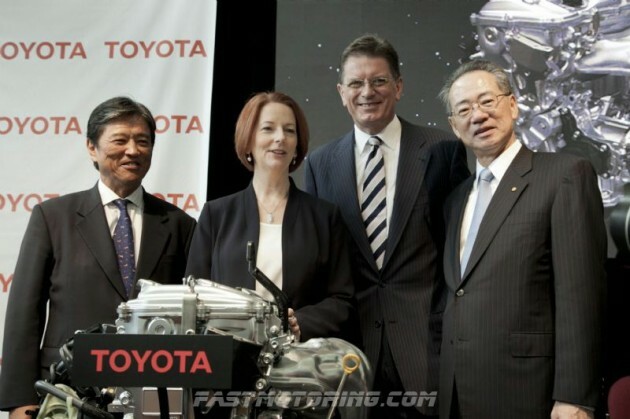 Toyota Australia President and CEO, Mr Max Yasuda said the official opening was a proud day for the Australian car industry and testament to the company’s team members who helped secure the new engine plant investment. 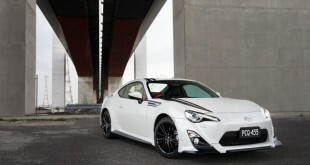 “This is a great day for Toyota Australia. The official opening of the new engine plant is part of our overall mission to transform our operations and build a more sustainable business,” Mr Yasuda said. Mr Yasuda said the unveiling demonstrated the efforts Toyota was taking to transform its operations to ensure local car manufacturing can maintain its presence in a highly competitive marketplace. “I am a true believer in local car making. We are working to create a new, stronger business that gives us a competitive advantage that is sustainable and profitable for the future. Building a new engine plant in Australia is at the heart of our manufacturing strategy. Mr Yasuda praised the strong desire of both the Federal and State Governments to see more advanced car making technologies introduced to Australia. Along with support from the Victorian Government, the Federal Government contributed $63 million to the commissioning of the new engine plant from its Green Car Innovation Fund. “An ongoing partnership between local car makers, the government and suppliers is fundamental for ensuring Australian industry can compete,” Mr Yasuda said. The new 2.5 litre engine boasts significant improvements in fuel efficiency and greater power than the previous 2.4 litre engine. In the current generation Camry this has contributed to an 11 per cent reduction in fuel consumption and a 13 per cent reduction for the Camry Hybrid. The engine plant has been in development since October 2011. It replaces the original engine plant built in 1978, which was Toyota’s first engine manufacturing plant built outside Japan. The plant will go into full production from 14 January 2013 and produce approximately 450 engines per day. 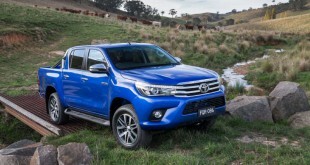 Toyota Australia has been building cars in Australia for almost 50 years. 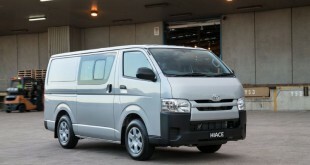 In August 2012 it achieved one million exports sales, making it the first Australian manufacturer to do so. 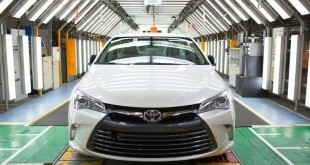 Later this month Toyota will also build its three millionth locally built vehicle.